The automaker giant Chrysler is on a record breaking car recalling spree. Since last week over 200,000 cars has been recalled by this company. These cars span over six different models. Three of the recall orders were imposed on Chrysler by The National Highway Traffic Safety Administration. The other three were by the conglomerate itself. The recalls span almost all the brands owned by the company. The 2011 and 2012 models of the Dodge Challenger, Dodge Charger and Chrysler 300 are the leading units to be recalled. Over 120,000 units were recalled over some faulty harness wirings for the air bags which are side mounted. This could lead to non-deployment of the airbags in the case of a crash. The two-wheel drive cars of Chrysler the Dodge Nitro of 2007-2008 and the Liberty Jeep SUV’s of 2008 are the second most recalled cars with over 60,000 units recalled. The problem with these cars is a heat shield. This could cause a break in the driveshaft. This in turn could hit underneath where the airbag sensors are located. This could be a cause of non-necessary airbag deployment. The last but not the least the NHSTA has asked the company to recall the 2012 models of the Jeep series, the Patriot and the Compass. Over 20,000 of these cars have been recalled. This intrusion is courtesy a faulty fuel line which could cause the car to just stop and not move again. The auto company itself has pulled back over 16,000 of its Ram trucks and Dodge sedans. Add to this about 6,500 of the Ram 1500 trucks built in 2012-13 the company has pulled back and 7000 the Cummin’s Powered Ram Heavy duty trucks it has got off the field. This is all due to multiple technical issues in the cars. The Style, Looks, Design, Technology and most importantly the Price, are the things which the peoples consider mostly, while buying a Car. And these things become more important for a Buyer when the other alternatives or options are also available to him. As we know that today car has become the status symbol of the peoples. Everybody wants that his/her car should be different and better from others and they want the car which is more Stylish, more technologically advanced, from the cars of others and Chrysler 300 is perfect choice for this. Because luxury should not be limited to the wealthy and honored few, the new model 2013 Chrysler 300 delivers the most appointed entry-level Chrysler flagship sedan ever. Chrysler 300 is the perfect choice for one who wants to buy Luxury Sedan cars with all the features which are otherwise available in other expensive Luxury cars, at Reasonable price, starting at just starting at $29,845. Chrysler has been ruling the roads since years and it still holds up to its promise and fulfilling the expectations of the buyers. It delivers the best entry-level flagship sedan car ever with the better convenience and advanced technology. The new 2013 Chrysler 300 model deliver the most appointed entry-level Chrysler flagship sedan ever. With its standard Uconnect 8.4 with voice commands, heated-leather front seats, 3.6-liter aluminum Pentastar V-6 engine with state-of-the-art ZF eight-speed automatic transmission and up to 31 mpg highway — the new Chrysler 300 provides its passengers with the convenient, soothe and techno-loving environment. Chrysler 300S has some unique and exciting features like a new cold-air induction system and sport-tuned exhaust for 300 horsepower and a black-painted roof option for even more athletic look. It now focuses more on the smooth look of the car than the previous Bentley Style. Chrysler’s bold look endow with a proper sense of re-innovation, power and imagination. Chrysler 300 Glacier AWD – Myth or Reality? Style, looks, design and technology what else do we wish to see in a car? Chrysler 300 Glacier AWD has it all and is here to impress you all with its amazing features. So it’s not a myth but it’s a reality that you need to believe. The retro look is back! Chrysler 300 Glacier AWD comes with the best technological features and retro look that we all are crazy when it comes to cars. This sedan gives you a stunning appearance through its look and a 3.6 liter Pentastar V-6 engine 300 HP which is more than enough when you are on the highway. The best thing about this sedan is that from a drive in the city to a snow-clad region, it gives you the smoothest journey you can even imagine because that will ensure you that it is reality. The royal retro look it carries is just very elegant like the looks of a queen. This lifestyle driven model comes with the most unique features and iconic design that does offer you a glimpse of the retro styles cars at least for some period of time. The sedan provides us with the best in class fuel economy and an 8 speed automatic transmission. For extra power, it has a 5.7 liter HEMI which provides 363 HP and 23 mpg on highway. The attractive Chrysler 300 also has a V-8 engine with four cylinders with fuel saving technology. Safety is what we all need from a car and this sedan provides a 19-inch eight spoke aluminum wheel from CARiD.com with a finishing of Satin Carbon which gives you all the season’s performance experience throughout the journey. After knowing the speechless features of this sedan how can we think of it to be a myth? It is pure reality which has arrived and stolen the hearts of millions of people. Having a problem in the manufacturing of cars is something that cannot be controlled at the initial stages all the times. Sometimes the defects are detected after the vehicles have been launched in the market. Chrysler also faced an issue with one of its car series as the engine of the car was later identified as the inappropriate one as it could ignite fire in the vehicle within seconds, causing huge level of damage to the car as well as the passengers. After detecting the problem after some of the fire incidents in the same model cars were reported. However, considering the safety of their clients, Chrysler tool the aid of telemarketers to spread the word about the danger that the engines of the car could cause to the owners of the specific model in order to make them alert against any miss happening. They called off the cars with same models present in the lots of the dealers in order to fix the problem and about the ones which had already been claimed by the clients by the time the issue was noticed, the company spread precautionary measures of parking the vehicle away from the residential areas so that even if the fire erupts, the loss of lives and other properties could be avoided. The experts present in Chrysler are making efforts to resolve the issue as soon as it is feasible for them without charging anything extra from their clients before any other reports of fire eruption due to the vehicle happens. Chrysler has been ruling the roads since years and it still holds up to its promise. It delivers the best entry-level flagship sedan ever with the better convenience and advanced technology. It now focuses more on aerodynamic look of the car than the previous Bentley style. Chrysler’s bold look provides a proper sense of re-invention, imagination and power. In the re-styling period, Chrysler has worked from its design to its interior features in the best possible way to make it an eye-catching family sedan. The looks of Chrysler 300 are powerful with a standard powertrain of 8 speed automatic transmission, the most expected feature of a sedan and a 3.6 L Pentastar V6 in the entry level. Apart from this sedan delivers about 292 HP and 260 lb-ft. of torque and also achieves up to 31 MPG on the highway. The best feature of this sedan is its bi-functional projector headlamps with LED illuminated lamps which provide better lighting efficiency. Chrysler 300C Luxury 4DR AWD Sedan: This 300C sedan uses 5.7L Hemi V8 mated to a 5 speed automatic transmission which propels the sedan at 363 HP and 390 lb-ft. at torque. The fuel saver technology allows transitions from four to eight cylinder mode which is estimated at 15/23 MPG highway with AWD sedan. The sedan acquits itself on the road smoothly with a feeling of comfort through its front side windows and acoustic windshields. It detects traffic from a greater distance and also senses far away tail lights during the night time. The second generation of Chrysler has made it to the perfect style, fuel efficiency and comfort to be competitive in its features along with a stunning and attractive look towards other expensive and premium sedans. Chrysler Inc. alerted the owners of the Dodge Challenger muscle car of a possible threat to their lives. The company revealed that the car might ignite a fire so it would be better if car owners would store them outside their homes. The company claimed that the problem with the car model is the wiring system. Most of the car has a series of mis-wired electrical components, which might cause the car to heat up and start a fire. Only those car models equipped with a V-6 engine bound to ignite a fire. Currently, there are already seven fire incidents that involve the 2013 Dodge Challenger. The manufacturers urge car owners of the said model to park their car away from their home to be safe from a possible fire ignition. All the models built between December 3 last year and January 24 2013 were recalled, which makes a total of 4,459 cars. The company stated that out of the 4,459 cars; 2,500 were already sold to their clients, and the rests are still on dealer lots. The issue does not affect all car models as only those equipped with the V-6 models are affected. While most automakers would take their time to reach their customers involving a recall, Chrysler is enlisting the help of telemarketers to contact owners of the said car model to alert them of the possible danger to their lives. The car manufacturer is willing to give free loans for any affected car owners until they can resolve the issue about the car model. This is not the first time that a car manufacturer recalls its car, back in July last year; Ford Motors also has the same problem with their 2013 Escape crossover. They warned car owners against the possible danger of owning the car because of a faulty fuel line that might cause fire. Meanwhile, Chrysler hopes to resolve the problem as fast as they can without the need for an additional charge to their clients. The Chrysler 300 is the flagship sedan of Chrysler and it has been in production since 2004. It is a large luxury family car and is a car that is a mix of style, potent powertrains and some luxury features. It uses the Chrysler LX platform and is now in its second generation that was introduced in the year 2011. The Chrysler 300 is assembled in the Brampton plant in Ontario, Canada and is available in about seven different models in the US. Rear Wheel Drive and All Wheel Drive Models are available in the Chrysler 300 and a whole host of features that make it a real favorite among a lot of people. The Chrysler 300 is available in a variety of engines and they are the 3.6L Pentastar V6 that produces 296 horsepower and 350 NM of torque., the 5.7L V8 HEMI that produces 368 horsepower and 527 NM of torque, and the 6.4L HEMI V8 that produces 477 horsepower and 637 NM of torque. The 3.6 L V6 has 24 valves and has variable valve timing and is fitted with an 8 speed automatic transmission. The 5.7L HEMI is not used much and the 6.4L HEMI engine is paired with a 5 speed automatic transmission and is currently found only in the SRT8. The Chrysler is a luxury sedan and therefore it has a lot of luxury features like Chrysler trim seats, 4 way adjusting driver and passenger seats with lumbar support, power adjustable pedals with memory, stylish 20 inch and 19 inch polished aluminum wheels, heated and ventilated front and second row seats, navigation, voice command, 6 premium speakers, remote USB port, steering mounted audio controls, rear view camera and a lot more to make you feel luxury when you sit and travel I the car. The Chrysler group has come up with two special edition 300C models which are named as the s300C John Varvatos Limited Editions and the s300C John Varvatos Luxury Editions. These models have been based on inputs provided by the one and only John Varvatos and the number of vehicles being introduced in the markets is going to be extremely limited. The limited editions will be extremely limited in production as well as availability while the luxury edition will be a lot more commercially available and is expected to lie in between the 300C Luxury Series and the SRT8. The luxury edition is an extremely upscale version of the s300C and features 20 inch alloy wheels, painted accents, John Varvatos bade on the trunk of the vehicle and a chrome platinum grille. The interiors are decorated with lush Nappa seats, Poltrona Frau leather for door panels, dashboards and the central consoles, all black or two tone interior color schemes and matte finish wooden trims. While the exact details of the s300C John Varvatos limited editions are not yet fully available, it is expected to be a beauty to look at. It boasts of a phantom Black paint which perfectly complements the exterior trims with titanium looks, dark tinted tail lights and 20 inch alloy wheels. The bumper on the limited edition also seems to be copied from the SRT8 which helps in giving it an extremely mean look. The interior colors have a great combination of gray, black and pewter. The seats boast of metallic Nappa leather while the door panels, dashboard and the central console are covered with Black Poltrona Frau leather. The engine fitted into the limited edition is the 3.6 liter Pentastar V6 and the vehicle features an 8 speed auto transmission. Upon seeing the Chrysler 300 for the very first time, you are going to be impressed with the big stature of the car. This rear engine powered car speaks volumes when it comes to power, comfort as well as style. The Chrysler 300 features an all-wheel drive system – this aspect in particular makes the car a healthier ride! The automobile manufacturer had taken into account of the concerns posted by those who were lucky enough to own and operate the car on a daily basis. Perhaps this can explain why we now have access to a sedated v6 version that focuses much on fuel efficiency rather than performance. If you are after performance, then you must be looking at the topmost version of the Chrysler 300 i.e. the SRTB. A unique aspect that this car can truly boast of is the following – you might never feel that you are driving a family car. The Chrysler 300 is more than capable of imparting the feeling that you are in fact driving a sports car. The car is able to manage through tight spots at high acceleration without any issues. Affordability has always been a concern for the automobile enthusiasts across America. Thankfully, they now have access to the Chrysler 300 that has a sensible pricing in comparison the competing products from the rival car manufacturers. This true passenger car can comfortably accommodate five people. 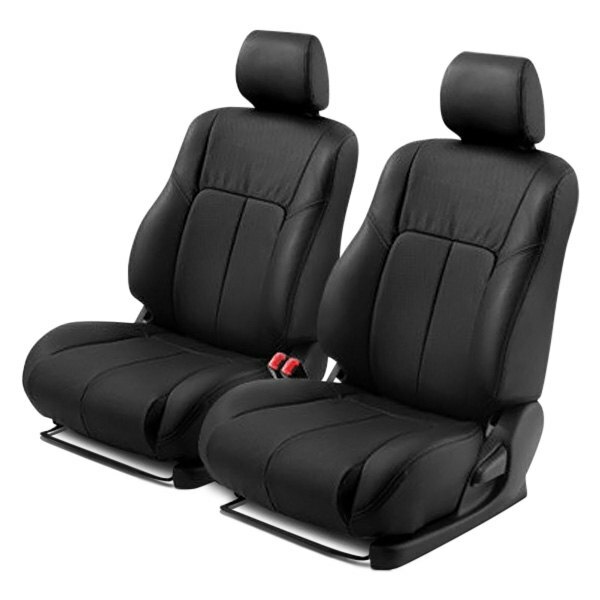 The rear seat head as well as the legroom offered to the occupants is simply exemplary in nature. Although many reviews have only praises for the Chrysler 300, there is a marked disadvantage to owning the same car. Not many families will likely small boot space offered by Chrysler. The roomy backseat takes up all the available space and hence explains the small trunk of the car. Also, please bear in mind of the fact that you will have to make additional payments when it comes to installing upgraded interiors. It is also a good idea to upgrade the navigational system that is included with the Chrysler 300 – that too comes with a hefty price tag. At the same time, not many people will fancy the idea of owning a car that comes with a rear-powered engine. They will be more than happy to purchase one of the cars offered by the competition such as Toyota or Ford. Although the company boasts of significant fuel savings, the real world tests are pointing somewhere else. The luxury series models feature a platinum chrome finish on its mesh grille, mirror caps and door handles. It also includes 19 inch or 20 inch polished wheels to enhance the look. The main difference is the upgraded interiors which are an epitome of luxury. They include Poltrona Frau leather upholstery on the dashboard, seats, central console and the door panels. The front seats also boast of heated and cooled seats while the back seats include just heated seats. The steering wheel is also a lot more distinctive with a chrome accent ring and matching leather. The special edition Glacier series combine the all wheel drive to a number of exterior and interior enhancements. The Glacier series sports a unique look due to its gloss black mirrors, greatly designed headlights, amazing fascia, 19 inch aluminium wheels which have been finished in black carbon and black grilles. The interiors boast of front sport seats, black leather upholstery, unique glacier badges and a black piano trim. The Motown series has been specially designed by the company to pay tributes to Detriot’s rich musical heritage. It consists of the new 8 speed auto transmission and adds chrome accents to the rear and front fascia, door handles and the door mirror caps. It also boasts of 20 inch aluminium wheels and Mopar front grilles. The interiors boast of pearl white leather upholstery by Nappa, Black Olive Ash and Piano Black wood accents and matching stripes on the seats.